This entry was posted on Thursday, May 6th, 2010 at 3:28 PM and is filed under Storage, VMware. You can follow any responses to this entry through the RSS 2.0 feed. You can leave a response, or trackback from your own site. i also suppose, that adding a zfs storage server to a virtual server is at the moment the best solution for a all in one virtual server. I’m looking forward to watching it mature! That would be great, I’ll ping your email. My colleague and I were headed down the same path with hopes to use the DDRDrive X1 as a ZIL in an embedded ZFS VM for some unique VM storage possibilities. To get the ball rolling I simply attached the DDRDrive to a Windows 2008 VM to run some simple ioMeter tests. I’m seeing extremely high interrupt rates when running tests against the passthru device; about 20x higher than running off an NFS volume on a remote server. Because of this, I believe my iops are falling quite short of their potential; roughly 20,000 iops using 512 byte sequential transfers. Any thoughts on tweaks to drop the interrupts and hope to achieve results similar to yours? As an FYI – I am running a Dell R710 with E5520 Nehalems and my VM is configured with 2CPU and 2GB RAM. No contention on the host, but my CPU and Memory shares are set to high with a full reservations as a precaution. Thanks for sharing all this great material. As I think about the way NFS operates versus raw SCSI CDB’s I would expect significantly higher irq service calls from the hardware layer when driving 512 byte IOs. NFS will place the IOs on the network adapter ring buffers and these will be passed over the bus with a DMA service call in larger blocks which is very different from a SCSI CDB call handler. NFS will gather and write based on its record size verses the incoming size. I think the real issue here may be the VM CPU scheduler service timing and behavior. I would explore some adjustments of the hypervisiors advanced settings in the area of irq.routingpolicy, irq. *weight and possibly the irq.irqrebalanceperiod. 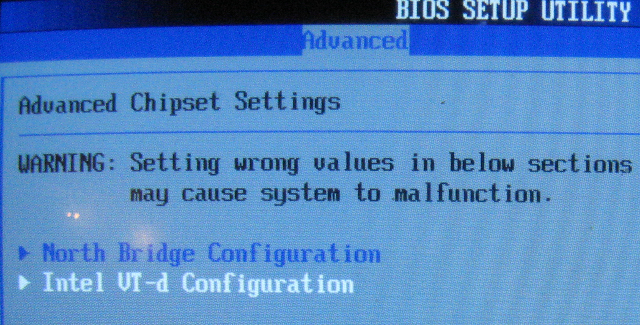 I would also configure only one vCPU to simplify and then re-examine its behavior as this can help to indicate where the root cause could be. Another area of concern would be any shared hardware PCI paths, be careful of the slot placements, I suspect that PCI bridge overloading would cause excessive irq handler calls. Which 890FX motherboard do you have with IOMMU? Did you try it with XEN? You can check with Stu Radnidge and see if he has tried XEN with it. 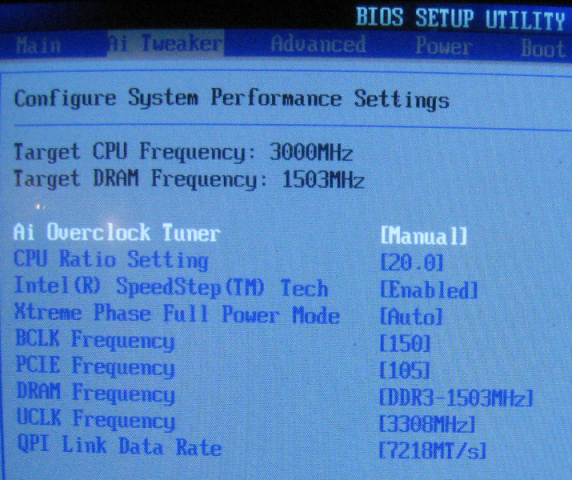 The board is the ASUS Crosshair IV Formula and it supports IOMMU 1.2 which includes the required ACPI Tables but it’s BIOS support is simply on or off and does not have tunable settings. You wrote an earlier piece on iscsi vs nfs cpu utilisation, would be interested to see the numbers with the latest 4.0u2 upgrade to see how far improved to your original test. I have a build with it right now, even without a bench mark I noticed improvements in both CPU load and general performance. I will see if I have time to throw a bench on it. 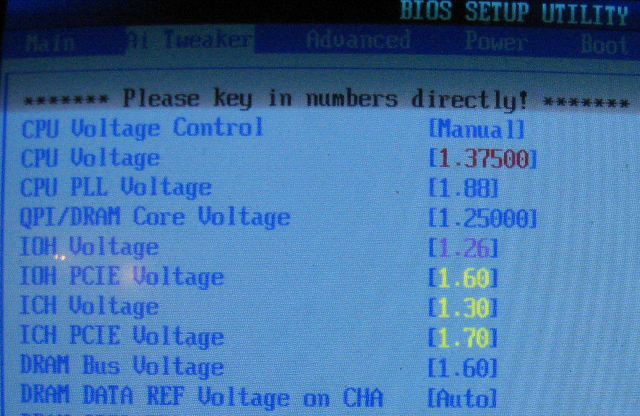 With your VT-d and adjustments of voltage etc; how did you work these out? I am doing some other projects (tv tuner) with vt-d and feel the pci-express tuning needs attention. It was worked out by trial and error. There are no bus time specifications available and the equipment is far to costly to attain if it were. I simply incremented the bus, cpu speed voltages until the system was stable and then incremented to an unstable point and backed down to the center frequency. Hi, you are mentioning this board in your post: AMD 890FX based ASUS Crosshair IV, can you confirm that you were able to successfully passthrough a device to a VM in ESX using this board? I have had issues with a similar board based on 890FX chipset and looking to replace with above mentioned one…but want to confirm i will be all good with VMDirectPath. Sorry, I cannot confirm that it works with vmdirectpath. Try posting it to Stu Radnidge. just had tested it folloqing convo with Stu, and it does appear to have work, at least the IOMMU driver is being properly picked up by ESXi… I am going to get some tv-tuner and try passing it to my VM … updates to follow. That’s great, looking forward to what you discover using IOMMU. 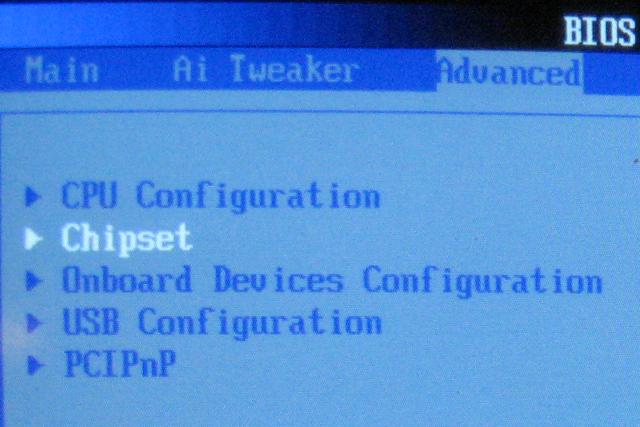 I could not wait, and instead set one of my NICs in the passthrough mode and assigned it to my windows xp 32 bit VM – just to see if it worked. See http://img.skitch.com/20101028-c4hp39qtkt8hiy1ppsxrupapmd.jpg for results. So, yes it is working. On the other hand my disk read/write is way too slow. What sort of disk (sata) speed are you usually getting on customer grade systems in ESXi – disks set as data store? You will see a variety of performance differences from system to system. But generally using AHCI you will see about 15-20 MB/s from a VM using a single threading I/O process. Running IOMeter with multiple workers can yield up to 120MB/s. I know that zil can improve write iops,But why random read iops can be improved? The VMDK file is basically just blocks on a physical disk, SSD acceleration works for both read and write in this case the ZIL is so fast that there is very little difference in the more intensive write operation. L2ARC is on the same SSD and since this is a NVRAM SCSI device the IOPS are remarkable. You mean zil and l2arc in the same ssd （ ddrdrive x1 ）,My mind was in a complete haze. I did not word that very well. What I was trying to convey is that the L2ARC cache is stored in DRAM and after a read warm up time it will accelerate speed and behave like the SSD’s NVRAM ZIL since they are both RAM based cache storage. The read IOPS would probably hit a peek of approximately 125,000 if the data was all in DRAM. Wednesday, September 14, 2011 10:37:53 AM PDT -> nas_pool/vol0@14-09-11-10:37 Snapshot creation start. Wednesday, September 14, 2011 10:37:53 AM PDT -> nas_pool/vol0@14-09-11-10:37 Snapshot creation end. Wednesday, September 14, 2011 10:37:53 AM PDT -> nas_pool/vol0 file system does not exist on target host nas_pool/vol0. Wednesday, September 14, 2011 10:37:53 AM PDT -> nas_pool/vol0@14-09-11-10:37 Initial replication start. Wednesday, September 14, 2011 10:37:53 AM PDT -> nas_pool/vol0@14-09-11-10:37 Initial replication end. You should have both hosts in the filesystem list. Thanks mike! I will try that out! i debugged your script and this is what looks like is happening…. The text file was created on a Windows host and contains hidden characters or bash does like the hyphens in the host names. the txt file was created on the OI server using nano. I will explore the host name with hyphens today. I wanted to let you know that every thing is functioning properly and to thank you for posting this information. I have created a single script based from the script you mention in this article and the script mentioned in the ZFS Snapshot Rollup Bash Script to manage not only the snapshot creation and sending to a remote server how ever also maintaining X days worth of snaps. I also removed the need for hard coding the pool names. If you would like I can send you the script as the original concept and most of the scripting ideas came from your 2 scripts for publishing how ever I am not 100% up and understating about what the rules are about GNU, not to mention all I did was clean things up and arrange things so that it made more sense to me. My thoughts on the script and the next thing I think I will implement in to it is to have more flexibility on pool names and data set names as currently the pool and data set names remain consistent (seemed logical as I am creating a network mirrored file system). Again thank you so much for your creativity and input on this subject. Excellent work Ryan! I would love to post your contribution to OpenIndiana/Solaris/Illumos. I will send you an email to facilitate it. Sent hope it looks ok.
Got to use /usr/bin/pfsh instead of /bin/bash else profile permissions don’t apply.